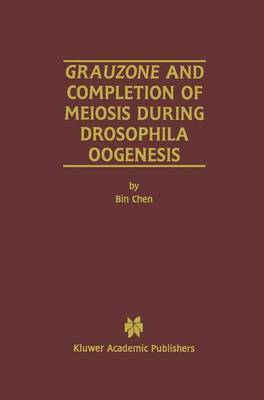 Grauzone and Completion of Meiosis During Drosophila Oogenesis describes the work behind a major, award winning discovery: the establishment of a new pathway that specifically regulates the female meiosis, a process essential for sexual reproduction. This book chronicles a new gene mapping method and the cloning and documentation of several types of genes that were proven to have significant influence on the cell cycle. It is of interest to anyone doing work with fruit flies, both graduate students and principal investigators.